Energy and Environment is carried in the ISI and SCOPUS listing of peer-reviewed journals, but its peer review process has been criticized for allowing the publication of substandard papers. 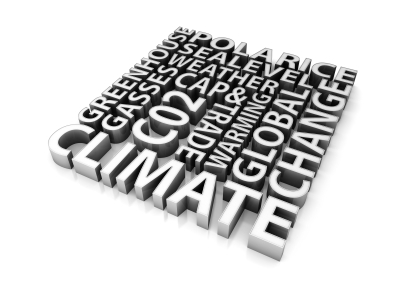 Numerous climate skeptics and contrarians have published in the journal and these studies have later been quoted by Republican critics of global warming science such as Senator James Inhofe and Congressman Joe Barton. Climate change skeptics who have been published in this journal include Sallie Baliunas, Patrick Michaels, Ross McKitrick, Stephen McIntyre, Ian Castles, Roger Pielke Jr., Willie Soon, Madhav Khandekar, Craig Loehle, Steve McIntyre, and Indur Goklany. The current editor of Energy and Environment Sonja Boehmer-Christiansen admits in an article published online that "the journal I edit has tried to keep this debate [climate scepticism] alive" She also states elsewhere I'm following my political agenda -- a bit, anyway," ... "But isn't that the right of the editor?" The publishers of Energy and Environment have started a libel action against the RealClimate blog over a dispute about their peer review.. Blogger Big City Lib also records a paper by Oliver Manuel that suggests the sun is made of iron. ↑ 2.0 2.1 Paul D. Thacker, "Skeptics get a journal", Environmental Science & Technology, August 31, 2005. ↑ Stephen Schneider, "Contrarians", website of Stephen Schneider, accessed April 2009. Paul D. Thacker, "Skeptics get a journal", Environmental Science & Technology, August 31, 2005. Richard Monastersky, "Storm Brews Over Global Warming", Chronicle of Higher Education, September 4, 2003. William M. Connolley (2011-02-25). E+E libel: Gavin strikes again. Stoat. Retrieved on 2011-03-17. This page was last edited on 22 July 2011, at 05:00.